I had never seen or heard about this before I picked it up, I saw it on the aisles of Tesco and was instantly intrigued. It was on offer for just £2.49 so I quickly picked it up as my mum was rushing me as we just 'nipped in'. Unfortunately I cannot find it on the Tesco website but it is available here from Boots, the normal price is just £4.99 which is still really good value. Within my makeup collection I only own one or two highlighters as I am never sure of the best ones to go for. I love it when girls have lovely contoured cheekbones with a hint of highlighter just on the tops. It is something which I want to try and get good at over the summer, so this seemed like a perfect product to help me with this. It is a two in one highlighter and illuminator and I choose the shade 003 Soho Glow. It offers a nice natural glow to the face, it is not overly glittery and adds just the right amount of shimmer. The consistency is a lightweight liquid texture which means you can apply just the right amount to the cheekbones. It comes in three shades and I actually picked up the darkest shade to my amazement. 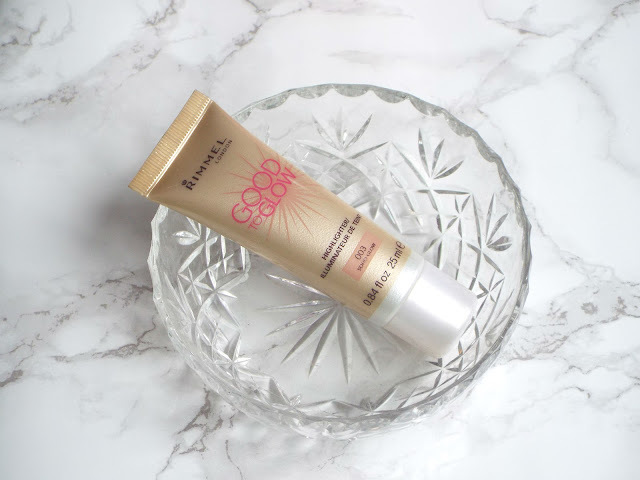 Soho Glow is a golden bronzed tone highlighter, which is perfect for this time of the year, and heading into the sunnier months. Another option is to mix a small amount of this within your everyday foundation to add a bit of an extra overall glow to your complexion.